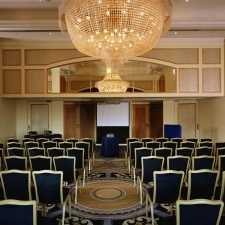 In the heart of Mayfair, London Hilton on Park Lane is close to all that London has to offer. Offering 453 spacious guest rooms and suites as well as five bars and restaurants, including the Michelin starred restaurant Galvin at Windows - there's something to suit every taste. The Artesian Bar in The Langham was designed by The David Collins Studio - the name behind many of the most exquisite London interiors. It's one of those venues that seems to have been around forever. Well, there is a reason.